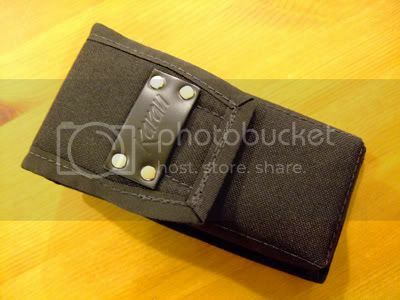 IAN SHEH | BLOG » Blog Archive » karau light meter pouch! got my custom (well as close to custom as possible) Karau pouch today! i’ve been looking for a new case for my Sekonic L-358 for a long time; one that doesn’t require me to strip off my belt every time i want to carry it around and one that isn’t that terrible gray color. in comes a guy named Tim Karau from Karau Products. the guy hand makes the cases/pouches himself! the pouches are make of 1000D Cordura Nylon, with a soft cotton liner, and an awesome leather Karau patch on the front. the patch itself is almost worth getting the pouch!he’s go a couple different bags/cases/pouches that mainly apply to grips. he’s got a new website coming, so only a small assortment of products are actually on his site. you can find more of his products at FilmTools. Tim’s an awesome guy, had my pouch make and shipped in a week. 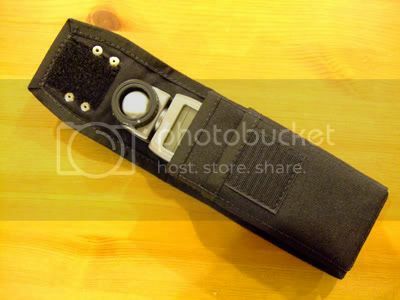 and for any old school Hassy shooters, he’s even got a pouch that holds an A12 back!